One year ago, I had no idea what Compression sportswear was. When I saw runners wearing knee highs, I truly thought it was a fashion statement. Fast forward to today and I own a lot of compression items. One of my favorite purchases of the year was my 110% Play Harder Blitz Compression Single Knee Sleeve with Ice. It is a compression sleeve and a portable ice bath all in one! Worn during activity, the Blitz Knee Compression Sleeve stabilizes joints and decreases the muscle vibration that leaves your knee sore. Adding ice therapy for your post work out recovery prevents swelling and reduces inflammation. Since using the sleeve, my knee issues have not been as bad and I do not feel I need to use the sleeve as often. It saved my knees! 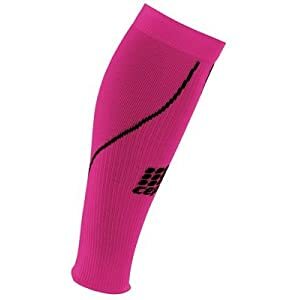 Another favorite compression item is my CEP AllSport Compression Calf Sleeves . These are the socks I was referring to above. CEP compression All Sport calf sleeves are made to give the athlete more energy, satmina, and a higher level of performance. 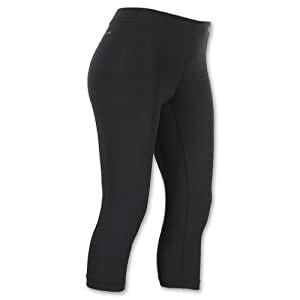 The calf sleeves improve blood circulation, stabilizes muscle and joints while enhancing coordination during runs. I LOVE THESE SOCKS. 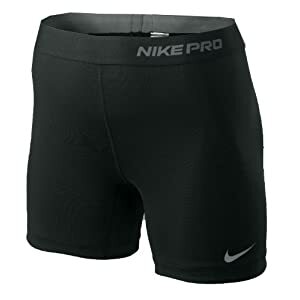 Finally, Nike Pro Combat Core 5" Women's Compression Shorts and Nike Lady Pro Capri II Compression Tights . I always feel like I am putting on a wet suit when wearing compression pants but it is well worth it in the end. The Nike Dri-FIT fabric helps wick sweat away and help keep you dry. Inseam gusset - for enhanced range of motion during training and workouts. Flatseam Construction - reduces chaffing and rubbing which can occur.